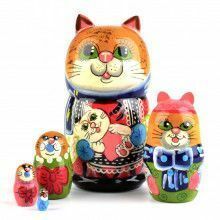 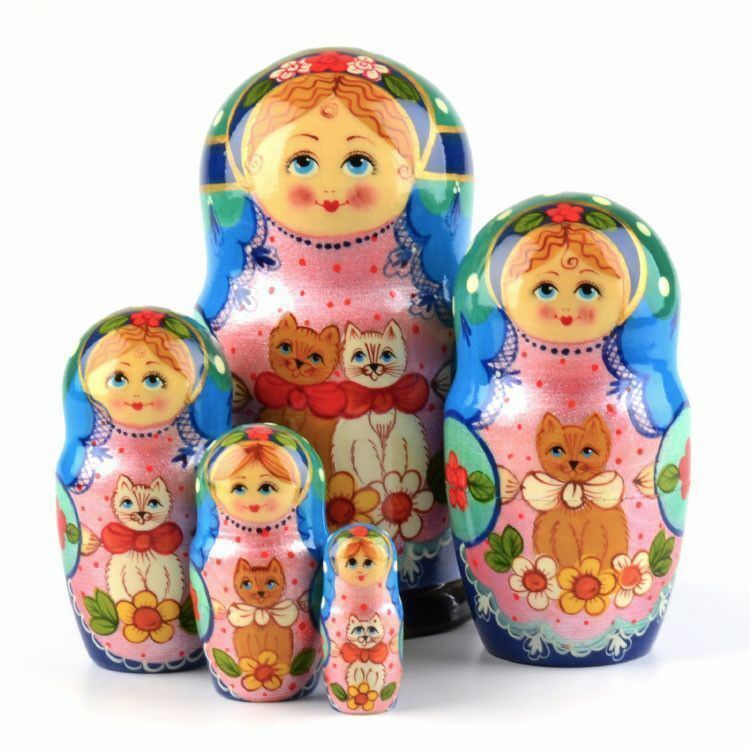 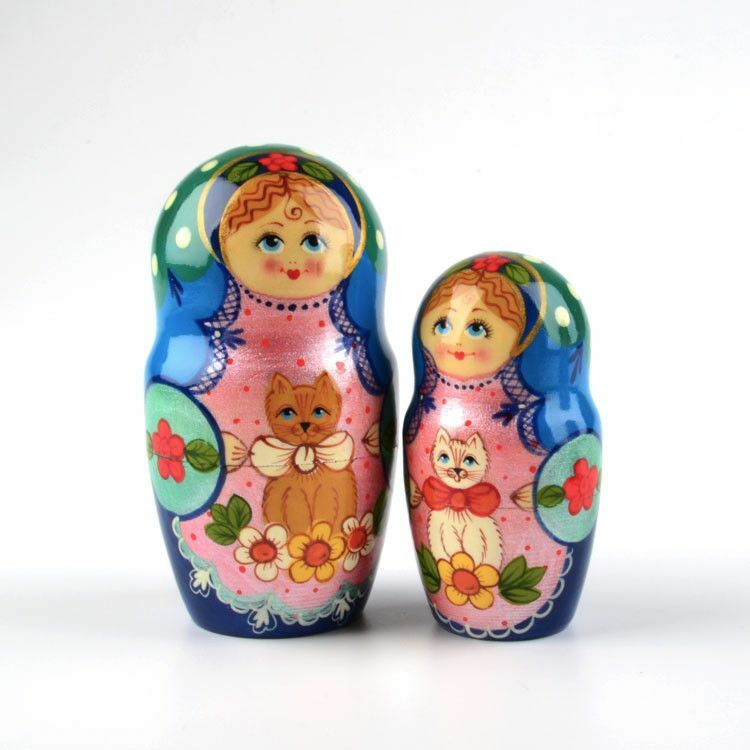 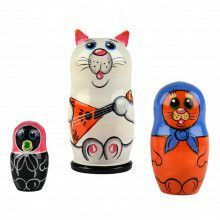 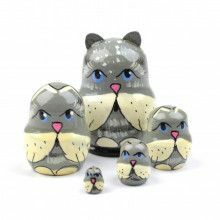 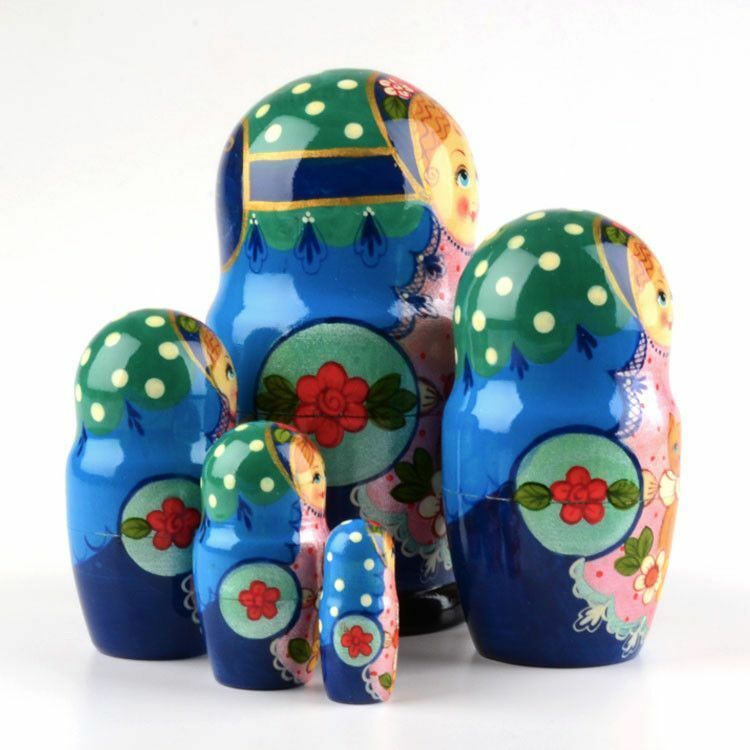 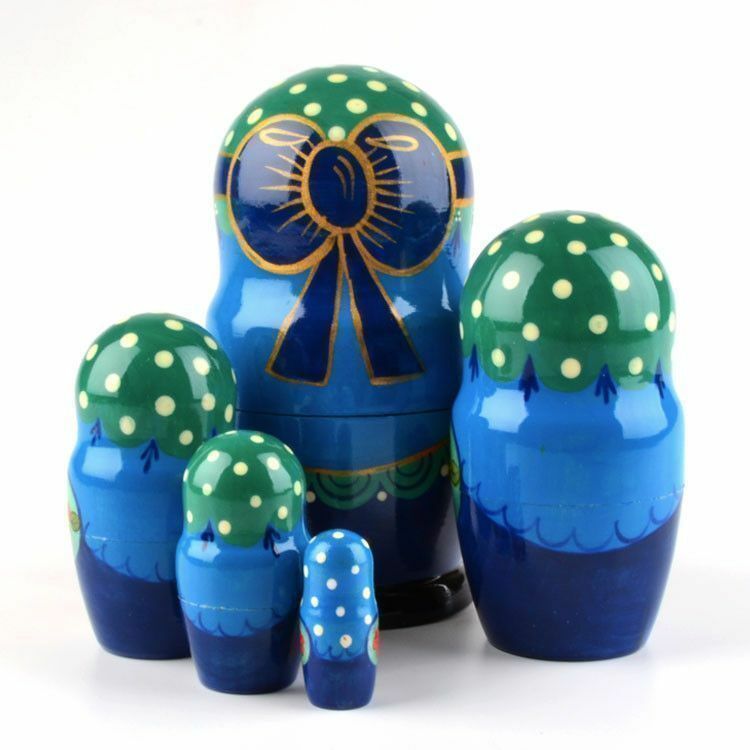 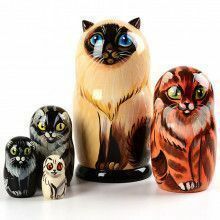 This nested doll would make a great gift for any cat lover or matryoshka collector. 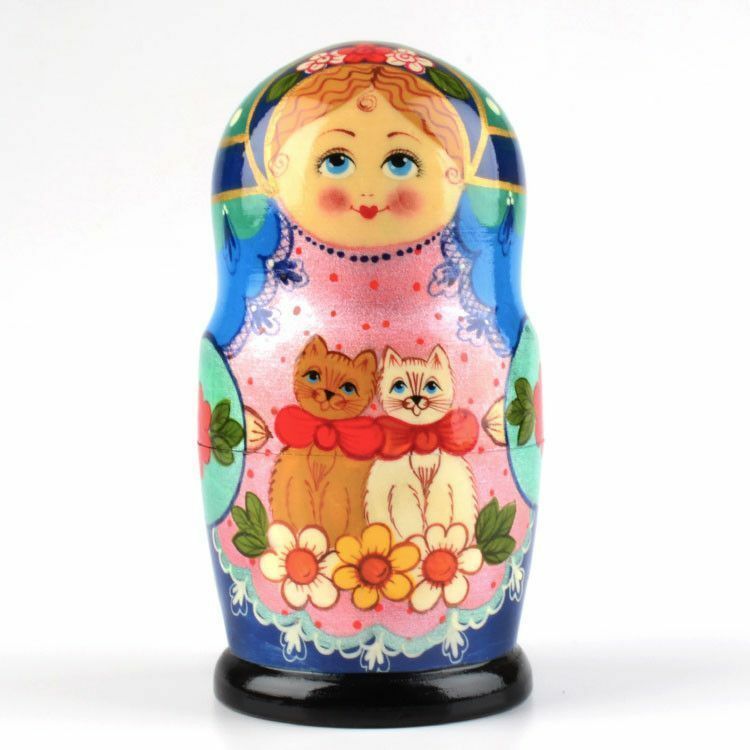 Each doll in this set of 5 features a kitty and flowers surrounded with small painted details, such as polka dots, shimmering pink color, and lace. 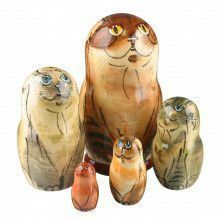 Stands about 6 1/2" tall, gloss-finished, and ready for shipment!